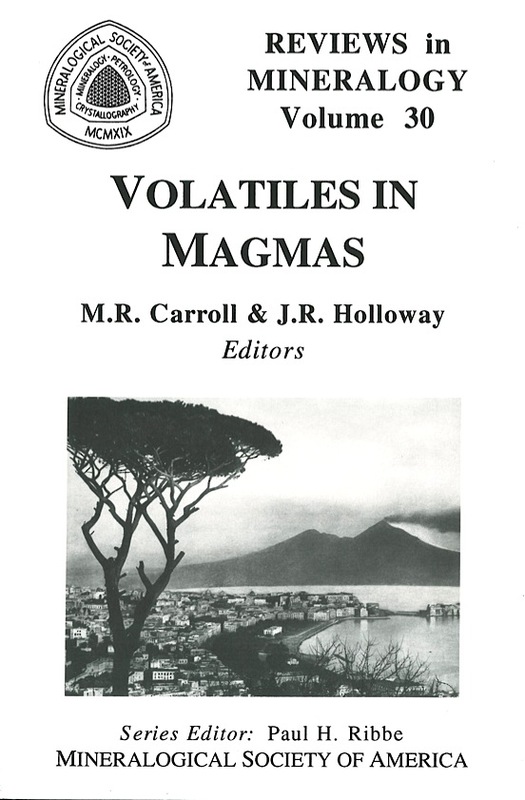 What we hope to show in this volume are some areas of progress in understanding the behavior of magmatic volatiles and their influence on a wide variety of geological phenomena; in doing this it also becomes apparent that there remain many questions outstanding. The range of topics we have tried to cover is broad, going from atomisticscale aspects of volatile solubility mechanisms and attendant effects on melt physical properties, to the chemistry of volcanic gases and the concentrations of volatiles in magmas, to the global geochemical cycles of volatiles. The reader should quickly see that much progress has been made since Bowen voiced his concerns about Maxwell demons, but like much scientific progress, answers to old questions have prompted even greater numbers of new questions. 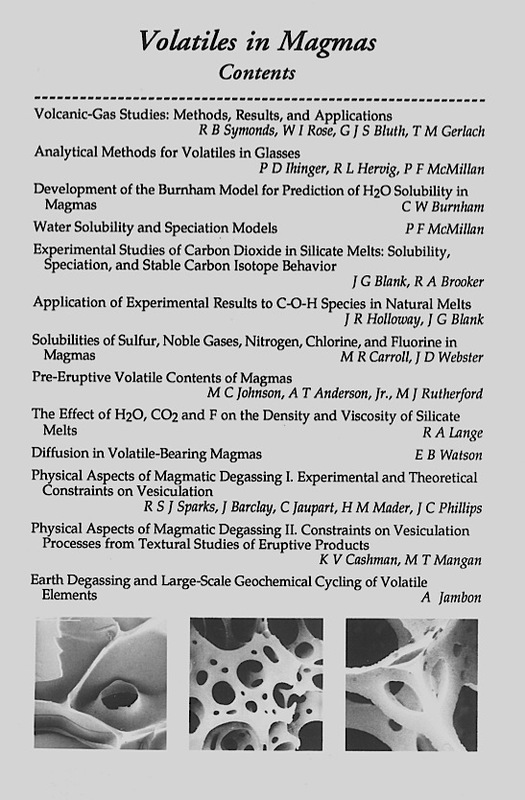 The Voltiles in Magmas course was organized and transpired at the Napa Valley Sheraton Hotel in California, December 2-4, 1994, just prior to the Fall Meetings of the American Geophysical Union in San Francisco.